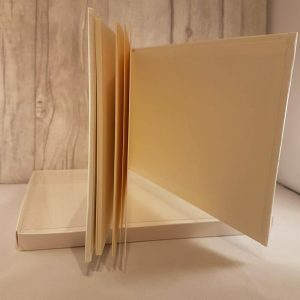 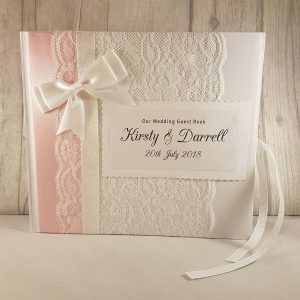 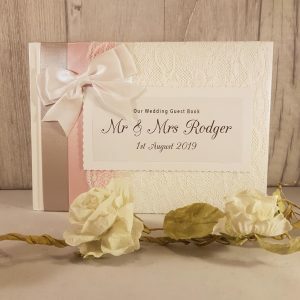 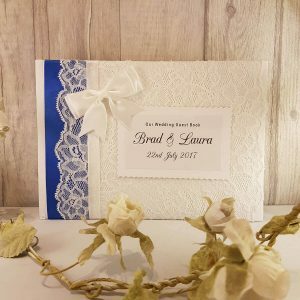 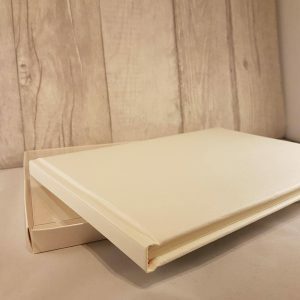 This plain/blank ivory guest book has 22 (44 sides) pages of crisp ivory A5 paper. 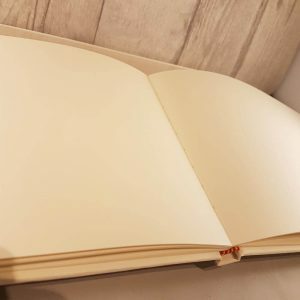 The thick, quality paper is easy for your guests to write on. 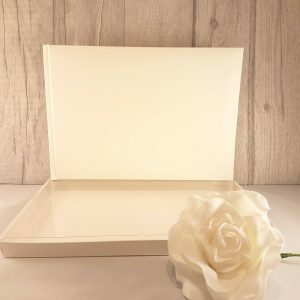 The guest book comes in a white PVC box with a clear perspex lid.